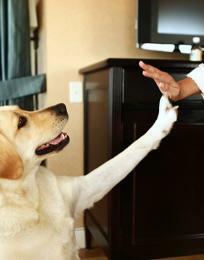 As 2014 begins, it is common to make resolutions to improve your health. A new year, a new you! 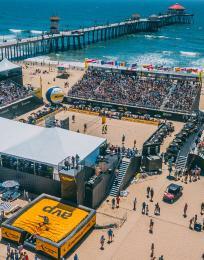 Below are 5 fun and easy ways to stay healthy this year in Huntington Beach. This sport, which involves paddling a special surfboard with an extended paddle to propel forward movement, actually began in the 1940s with famed Hawaiian surfer Duke Kahanamoku. An activity for all ages (younger kids can sit on the board while an adult paddles), paddleboarding is much easier than it looks. This unique style of exercise works your entire body and improves balance, strength and the cardiovascular system. 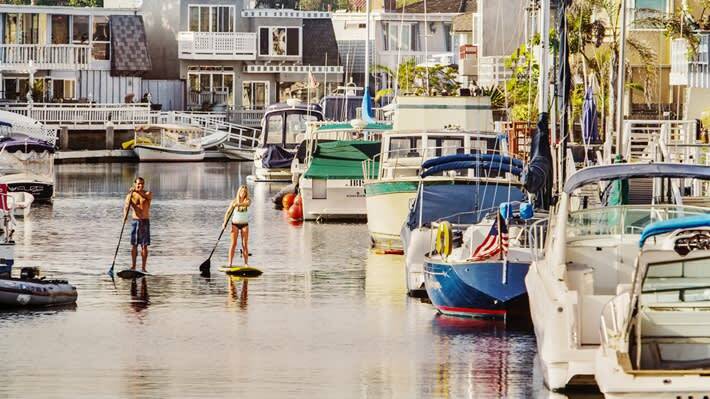 Learn to paddleboard in beautiful Huntington Harbour, an enclosed harbor with little-to-no waves. More experienced paddleboarders will practice their sport out in the ocean, paddling out past the waves to enjoy the amazing aquatic surroundings. 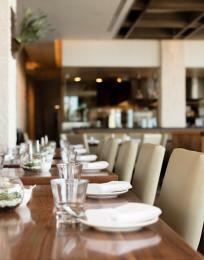 We recommend lessons taught by local, Rocky McKinnon, no matter your experience. Yoga became popular as a means of physical exercise in the Western World in the 1980&apos;s, although it originated hundreds of years ago in India. Flexibility is an obvious benefit of yoga but it can also improve sleep and focus while decreasing body aches and pains. Huntington Beach has over a dozen locations offering yoga instruction for all levels. Introduction to Yoga Courses are available at Yoga Works in Downtown Huntington Beach. It provides a basic understanding of correct breathing and alignment of the body which will bring greater benefit and joy from the practice of yoga. 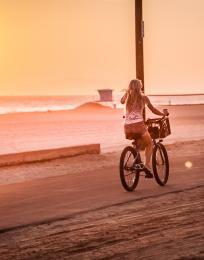 The League of American Bicyclists, a leading advocacy organization, has given Huntington Beach repeat honors as one of the country&apos;s most bicycle-friendly cities. The Ocean Strand path offers breathtaking views of the Pacific Ocean, Huntington Beach Pier, and surfers catching waves as the sun sets on the horizon. 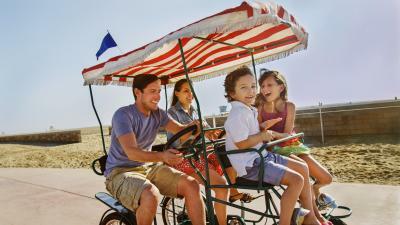 With the 8.5-mile long paved beach path lined with beach concessionaires renting bicycles (Check out Waterfront Adventures located at the Hilton Waterfront Beach Resort), Huntington Beach provides many options to let you wheel around. Nekter Juice Bar was created in Southern California and specializes in fresh, cold-pressed juice blends, and cleanses using 100% natural, raw, vegan ingredients. Their Cleanse program is wildly popular and is a completely safe and natural way to give your body the necessary nutrients while at the same time giving your digestive system a much needed and deserved break. Nekter also offers a variety of smoothies, specialty drinks, acai bowls, and other healthy snacks and food products. Good news! Nekter Juice Bar has just opened a second Huntington Beach location on Main Street in addition to their Bella Terra address. Prefer to make your own juice at home? Fresh fruits and vegetables are sold every Tuesday night at the Surf City Nights Farmers Market on Main Street. 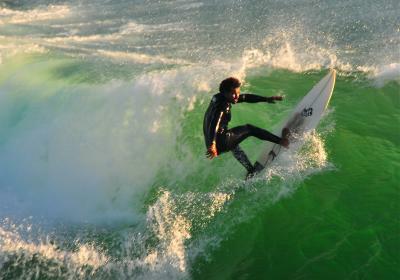 What other way to stay active in Huntington Beach than by surfing! Paddling is not only an excellent means of cardio but also improves shoulder and back strength. Once standing, leg and core strength is essential to stay up. Never surfed before? Then take a lesson with one of the local pros here in Surf City USA. With close to twenty surf schools in the area, you&apos;ll be riding the waves in no time. We recommend Toes on the Nose and Banzai Surf School although there are plenty of professional and fun surf instructors in Huntington Beach, which you can view here.